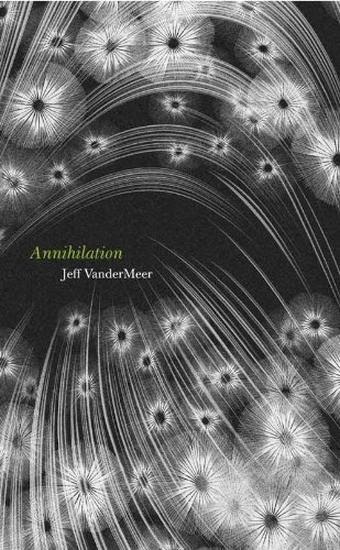 Annihilation is the first in a series of three science-fiction novels by Jeff VanderMeer, with the other two due to be published later this year. I'm glad there are two more books to come, because Annihilation is one of those novels that raises more questions than it answers - although it remains to be seen whether the next two books in the series actually offer any solutions or simply deepen the mystery. Annihilation tells the story - in a sense - of a group of unnamed researchers entering Area X, a large stretch of coastal landscape rendered uninhabitable by 'the Event' some years previously. They have been recruited by Southern Reach, an agency that appears to monitor the border - if there really is one - between Area X and the rest of the world. None of the expedition party knows what the Event was. None of them knows what it is about Area X that might be dangerous or why nobody can live there. They are led by 'the psychologist' who has trained them for the expedition and by whom they are constantly manipulated by hypnotic suggestion. Their equipment is inexplicably low-tech and their entry into Area X is something none of them can properly recall. They are known to one another only by their roles in the team - the biologist, the surveyor, the anthropologist and so on. In short, everything in Area X is unknown, and as a result the group exists in a constant and debilitating state of unease and dread. There are vague hints on almost every page that something terrible, something sinister and watchful, lurks within the landscape, and yet nobody is ever quite sure what it might be. It's only a matter of days before the group begins to behave oddly, as if they are somehow absorbing the indefinable oddness of the environment. It's also clear that their perceptions of what they encounter vary considerably. A structure they discover is a 'tower' to our narrator but a 'tunnel' to the others. What is real and what isn't? And what does 'real' mean in Area X anyway? There is a strong sense of Lovecraftian horror that runs throughout Annihilation, combined with a skilled, calculated matter-of-factness - the narrator is a biologist well known for her observant detachment - that reminds me of John Wyndham (high praise from me: Wyndham is probably my favourite science-fiction writer of all time). It's fair to say that there are certainly moments when the narrative becomes more elaborate and descriptive, almost hallucinatory, as events take their psychological and physical toll on the biologist, but for me these are much less effective in building atmosphere than the subtler, more ambiguous allusions in the earlier chapters. The nature of the story also means that character development is mostly secondary, and the biologist's expedition team mates are little more than an aid to driving the plot, but the biologist herself is, while clearly an unreliable and selective storyteller, reasonably well-drawn with enough back-story to induce me to care what happened to her. If, like me, you enjoy books that question and confuse the reader, full of ambiguities and unspecified, unsettling suggestions that things are Just Not Quite Right, and you're open to the 'New Weird', Annihilation is definitely one for you. The second novel in the trilogy, Authority, is due out in May.